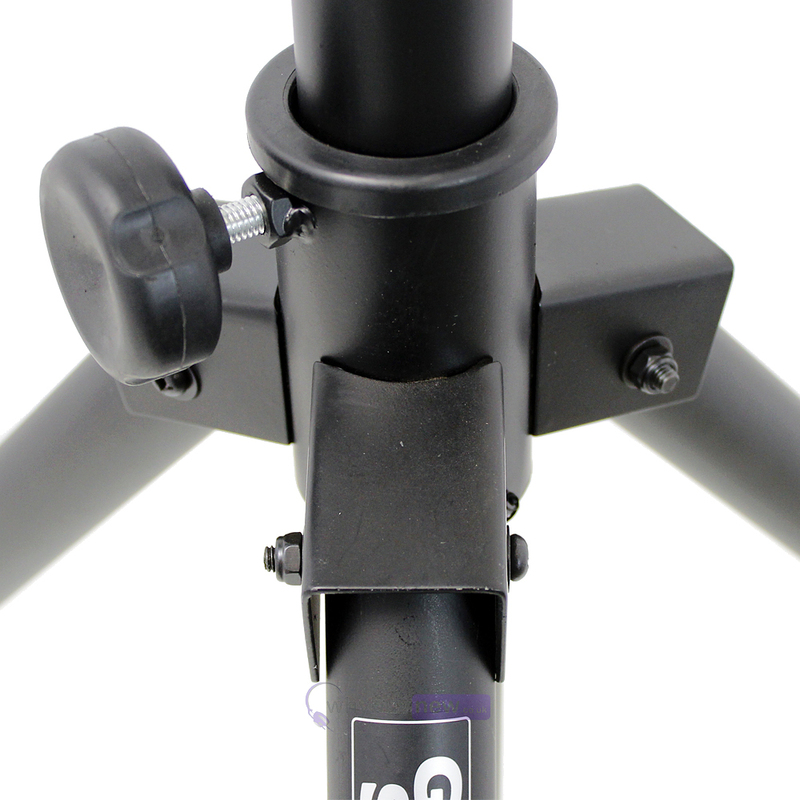 Gorilla stands are know for being tough, reliable and built from the highest quality materials. 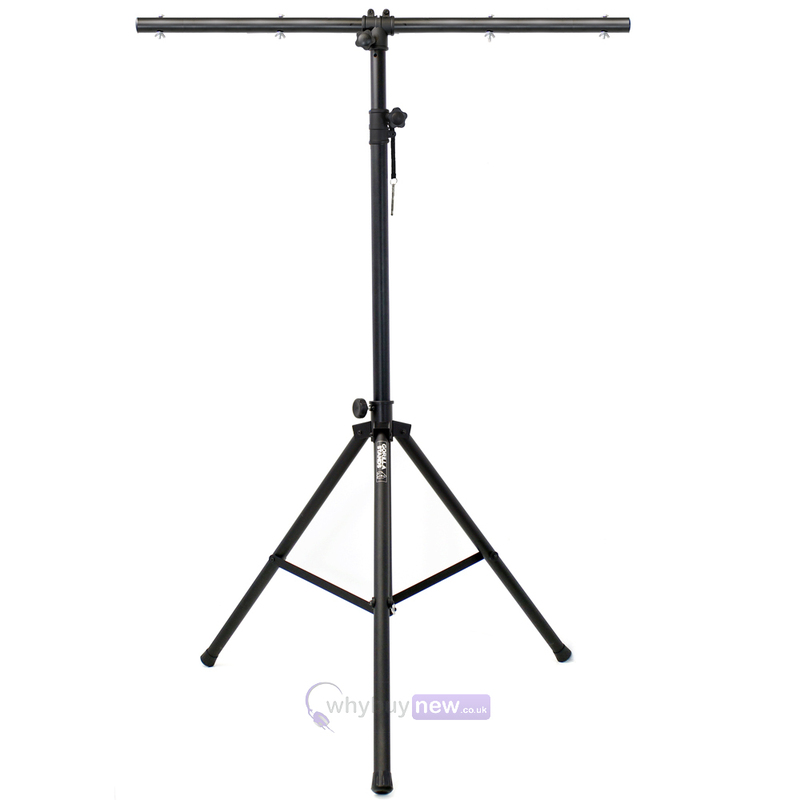 The GTB-100 is a simple T-bar lighting stand which is quick and easy to assemble and provides excellent support for your lighting effects. GTB-100 is built from strong steel to give is an impressive 40kg capacity and remain strong and stable even when fully loaded. Setting the GTB-100 is quick and easy to setup and uses no loose fittings (which can be easily lost or left behind after gigs). 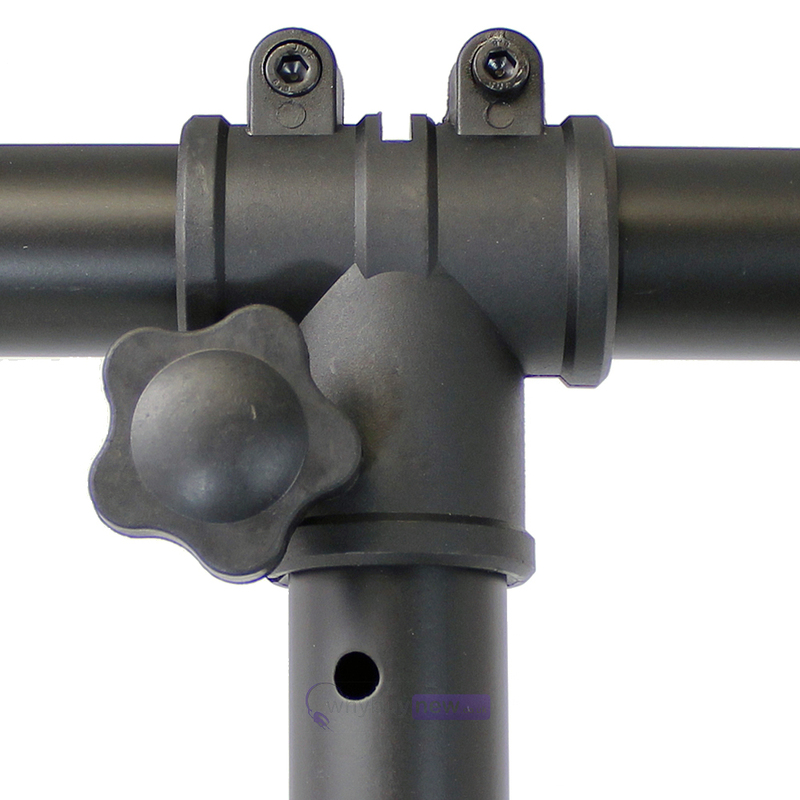 Instead, simply adjust the tripod to the desired height (upto an incredible 4m), attach the T-bar and then tighten the integrated fittings...simple. Thanks to it's high-quality steel construction, GTB-100 won't, unlike cheaper stands, bend or sag when fully loaded and will give years or reliable service and peace-of-mind to the user. 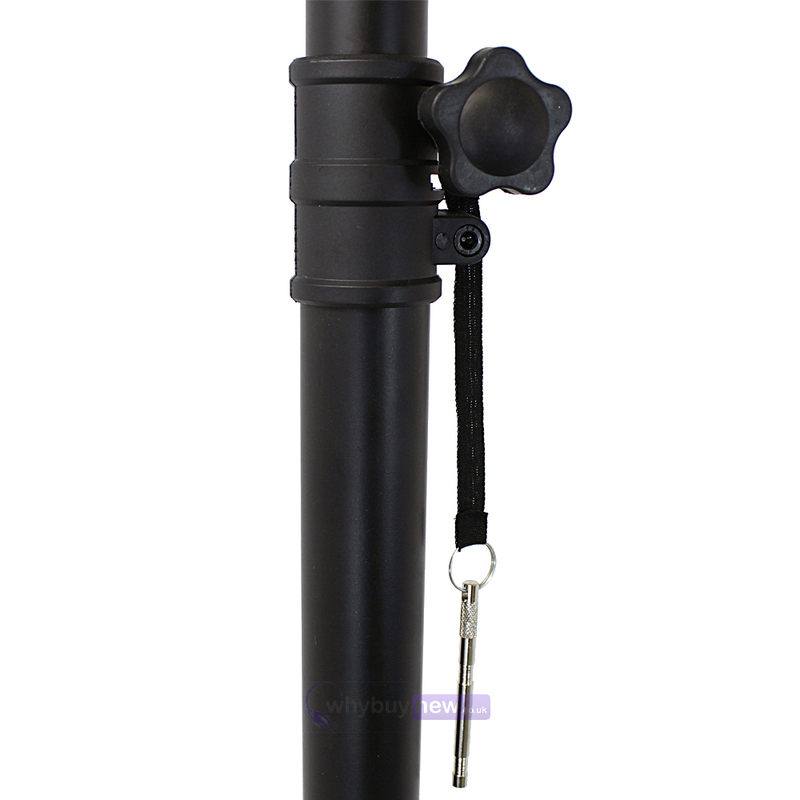 GTB-100 is perfect for any application when a mobile lighting system is required. Bands, mobile discos and other live performers will love how quick and easy it is to setup and any performers on-the-road will appreciate the compact portability. 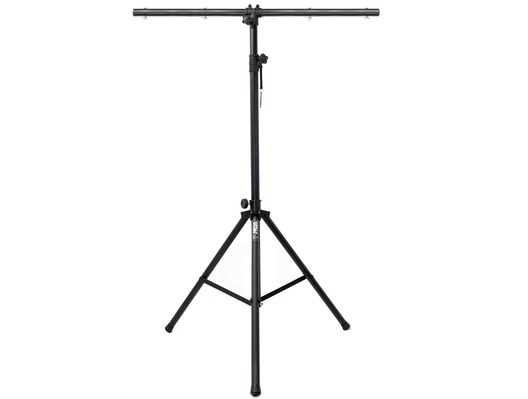 Here we have the Gorilla Heavy Duty 40kg T-Bar Premium Lighting Stand in brand new condition and in B-Stock. The B-Stock versions would have been on display at a training evening or trade exhibition only and will come boxed 'as new' with all accessories and a 1-year warranty. Collapsed length of tripod : 58"
Does what it says on the tin! Great work! Fantastic stand. Excellent quality - very heavy duty. Seems to hold 40KG very well, and is very stable when fully loaded. There is a safety pin and an extension bar for the height. The service from whybuynew was excellent and fast. Thank you! And deliver it does. The Gorilla Heavy Duty 40kg T-Bar Premium Lighting Stand is perfect for my Chauvet Circus 2 and Kinta FX - both purchased from whybuynew - where else?? Great quality, sturdy construction and rock solid at a price that is quite simply a give away. Thanks WhyBuyNew. I'll be back for a couple more !